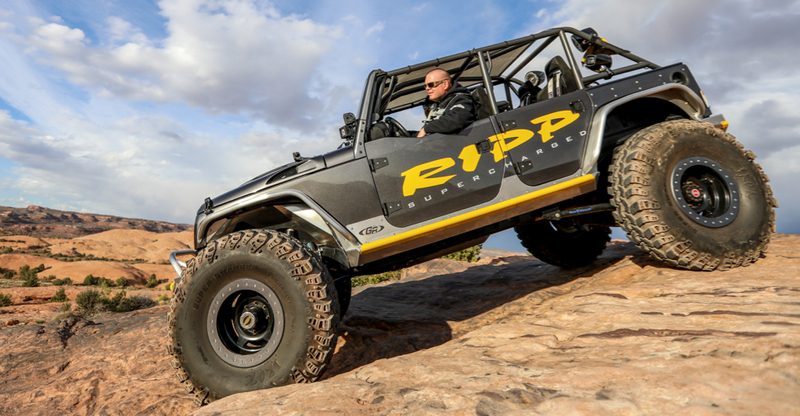 Jeff's Grappler Jeep JKU is big and he is fearless in it!. He is our brand ambassador out of Georgia. His rig has a GenRight cage, corner guards, LED tail lights, inner fenders and aluminum body armor with color matched rash guards. 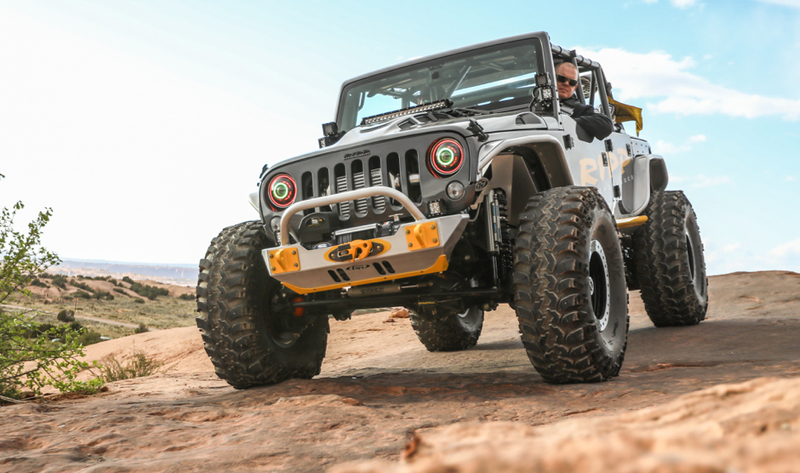 He also has King shocks on a modified suspension, Superwinch, RIPP supercharger, aftermarket seats, lots of LED lights, Factor 55 hook, 42" IROK tires and ATX Slab wheels. You can follow his adventures on Instagram.